Online privacy has become one of the major concerns these days. With the rate of cyber crimes increasing every day, the people have been made to think about a better way to browse the web. The activities like hacking, phishing, and data theft have become very common on the web. No matter you are using mobile, PC, or laptop, you might fall victim to cyber crime from any device. No device can guarantee you security. It is you who have to look for means to preserve your privacy. A VPN sounds to be best means. If you are a Mac user and are looking to browse through the internet securely, then an ideal Mac VPN can help you out in preserving your privacy. At times, it might be difficult for you to find out the best. So, we have brought up a guide to the most powerful MAC VPNs of all time. Check out the list and find the best VPN for your Mac device. It is the most powerful VPN for the Mac user who loves to access the internet with complete freedom and total privacy. It is superb for torrenting and has a network of 1100+ blazing fast servers in 61 countries of the world. It offers double VPN to all its users along with 256-bit military grade encryption and automatic kill-switch technology. NordVPN is strict about its No-logs policy and offers affordable VPN plans to its users. The minimal plan starts at $5.75/month and you get 30-days money guarantee along it. You can connect to 6 devices simultaneously and make unlimited switches between the servers during the connection too. Not only for Mac, it is available for Windows, iOS, and Android too. ExpressVPN is the fastest VPN provider when it comes to speed and user privacy. You can stream videos at blazing fast speeds. ExpressVPN has its 1000+ servers in 95 countries of the world. It allows you to make unlimited switches between the servers and is good for torrenting. It also has a strict No-logs policy and doesn’t store the user logs. The ExpressVPN user gets 24×7 live support. You can enjoy additional features like DNS Leak Protection, Automatic Kill Switch Technology, 5+ simultaneous connections supported and many more. The minimal plan starts from $8.32 per month. You get 30-Days money back guarantee too. IPVanish is another great option for the Mac users who are much concerned about their security on the internet. It has over 750 servers in 60+ countries of the world. It doesn’t store the user logs and ensures that the every user is able to access the restricted content without getting caught. Unlike most of the VPNs, IPVanish owns its entire infrastructure including the servers, physical points, and its private network. It also offers DNS leak protections along with automatic kill switch technology. IPVanish has apps for iOS and Android devices and can even be used for Widows computer. You can connect to IPVanish from 5 different devices simultaneously. The minimal plan starts from $6.49 per month. But, it only offers 7-days money back guarantee. You have less time to check out all its features. Another handy option that can be used to secure your online activity is CyberGhost. It has successfully managed to build a great reputation when it comes to the transparency and security. You can access the public Wi-Fi connections while using CyberGhost on your Mac device. It works relentlessly on mobile devices as well. It is one of the best VPNs for torrenting offering ultrafast speed. It has more than 800 servers in 6 continents of the world. The minimal plan starts from $2.90 if you buy it for 2 years. It even offers you double encryption just like NordVPN. If you don’t like its services, get your money refunded within 30 days of making the payments. PureVPN is another superfast VPN provider that is packed with some of the most reliable features. It has spread its 750+ servers in 141 countries of the world. It has a self-managed network of servers and doesn’t store the user logs. A user can get answer to the queries 24×7 through live chat. It offers split tunneling features if you want to use this VPN for specific apps. However, it keeps a log of connections and bandwidth used for optimizing the server performance. 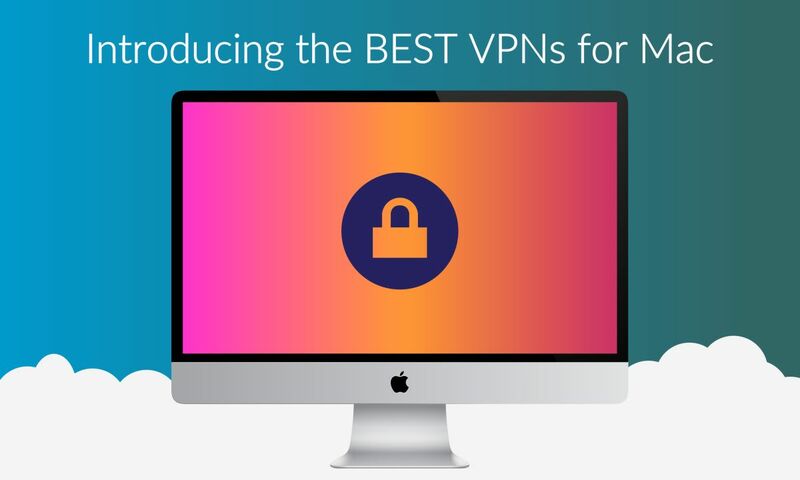 This VPN is compatible with 20+ devices including the Mac computer. A user can login from 5 devices simultaneously while using the PureVPN. The minimal plan starts from $3.75/month if you buy it for two years. It offers only 7-days money back guarantee. It is an easy to setup VPN that has got an extremely simple user interface. You can surf through the web privately and access the restricted content without getting caught. It claims that it doesn’t keep the user logs. It makes use of advanced OpenVPN with the 256-Bit AES encryption guarantying 100% privacy and security to the user. Along with blazing fast servers, it also offers dedicated customer support, ad-free browsing, and cloud based malware protection. You can use this VPN on 5 devices simultaneously. It costs you $5.99/month if you buy it for a year. It also offers a lifetime plan at $119.99. If you are not happy with its services, get you money refunded within 30 days of making the payments. Windscribe is another powerful Canada based VPN provider that has reached thousands of customers in no time. It provides an exclusive range of features to all its users. It has its servers in 40 countries of the world and is still expanding its terrain. It uses AES 256-bit with SHA 512 encryption to encrypt your connection. It even offers a free plan to the users. A user can consume 10GB bandwidth for free every month. The DNS Leak resolver, Automatic kill switch technology, strict No-logs policy are some of the noticeable features of Windscribe. It is also available for iOS, Android, Opera, Mozilla, Chrome, Linux and Windows computer. The minimal plan costs you $4.08 per month if you buy it for a year. Above listed were the best 7 VPN providers you can trust blindly when it comes to private and secure browsing. These VPNs use top-level military grade encryption that is often used in banks. Moreover, the fast and speedy servers make your browsing more pleasurable. All these VPN providers offer budget VPN plans soothing the needs of every user.